For a long time I have been a big fan of using debug. debug is simple to use, works in Node.js and browser, does not require configuration and it is fast. However, problems arise when you need to parse logs. Anything but one-line text messages cannot be parsed in a safe way. To log structured data, I have been using Winston and Bunyan. These packages are great for application-level logging. I have preferred Bunyan because of the Bunyan CLI program used to pretty-print logs. However, these packages require program-level configuration – when constructing an instance of a logger, you need to define the transport and the log-level. This makes them unsuitable for use in code designed to be consumed by other applications. Then there is pino. pino is fast JSON logger, it has CLI program equivalent to Bunyan, it decouples transports, and it has sane default configuration. Unfortunately, you still need to instantiate logger instance at the application-level. This makes it more suitable for application-level logging just like Winston and Bunyan. Does not block the event cycle (=fast). Works in Node.js and browser. a logger that I can use in an application code and in dependencies. a logger that allows to correlate logs between the main application code and the dependency code. a logger that works well with transports in external processes. Roarr logging is disabled by default. To enable logging, you must start program with an environment variable ROARR_LOG set to true, e.g. Roarr is designed to print all or none logs (refer to the ROARR_LOG environment variable documentation). To filter logs you need to use roarr filter CLI program or a JSON processor such as jq. jq allows you to filter JSON messages using select(boolean_expression), e.g. To ignore the non-JSON output, use jq -R flag (raw input) in combination with fromjson, e.g. For a simplified way of filtering Roarr logs, refer to roarr filter CLI program. context Arbitrary, user-provided structured data. See context property names. message User-provided message formatted using printf. time Unix timestamp in milliseconds. version Roarr log message format version. First parameter can be either a string (message) or an object. If first parameter is an object (context), the second parameter must be a string (message). Arguments after the message parameter are used to enable printf message formatting. Printf arguments must be of a primitive type (string | number | boolean | null). There can be up to 9 printf arguments (or 8 if the first parameter is the context object). Refer to the Usage documentation for common usage examples. Creates a child logger appending the provided context object to the previous logger context. Refer to middlewares documentation for use case examples. Creates a child logger where every message is intercepted. Convenience methods for logging a message with logLevel context property value set to the name of the convenience method, e.g. Roarr logger supports middlewares implemented as child message translate functions, e.g. Roarr middlwares enable translation of every bit of information that is used to construct a log message. Raise an issue to add your middleware of your own creation. Roarr CLI program provides ability to augment, filter and pretty-print Roarr logs. CLI program has been moved to a separate package @roarr/cli. 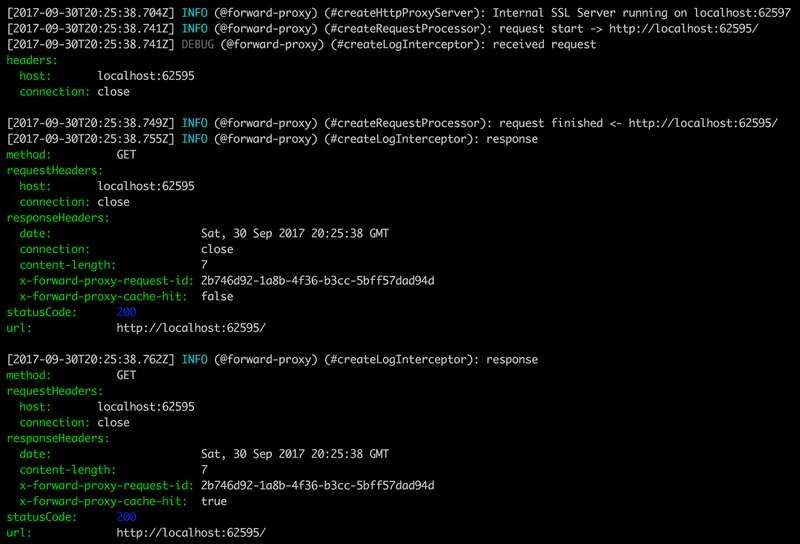 Explore all CLI commands and options using roarr --help or refer to @roarr/cli documentation. A transport in most logging libraries is something that runs in-process to perform some operation with the finalised log line. For example, a transport might send the log line to a standard syslog server after processing the log line and reformatting it. Roarr does not support in-process transports. Roarr does not support in-process transports because Node processes are single threaded processes (ignoring some technical details). Given this restriction, Roarr purposefully offloads handling of the logs to external processes so that the threading capabilities of the OS can be used (or other CPUs). Beats for aggregating at a process level (written in Go). Fluentd for aggregating logs at a container orchestration level (e.g. Kubernetes) (written in Ruby). When running the script in a Node.js environment, use environment variables to control roarr behaviour. When using ROARR_STREAM=STDERR, use 3>&1 1>&2 2>&3 3>&- to pipe stderr output. application Name of the application (do not use in code intended for distribution; see package property instead). hostname Machine hostname. See roarr augment --append-hostname option. instanceId Unique instance ID. Used to distinguish log source in high-concurrency environments. See roarr augment --append-instance-id option. logLevel A numeric value indicating the log level. See API for the build-in loggers with a pre-set log-level. namespace Namespace within a package, e.g. function name. Treat the same way that you would construct namespaces when using the debug package. The roarr pretty-print CLI program is using the context property names suggested in the conventions to pretty-print the logs for the developer inspection purposes. To avoid code duplication, you can use a singleton pattern to export a logger instance with predefined context properties (e.g. describing the application). I recommend to create a file Logger.js in the project directory. Use this file to create an child instance of Roarr with context parameters describing the project and the initialisation instance, e.g. * @file Example contents of a Logger.js file. // the current instance of a Roarr logger. Roarr does not have reserved context property names. However, I encourage use of the conventions. The roarr pretty-print CLI program is using the context property names suggested in the conventions to pretty-print the logs for the developer inspection purposes. This is not specific to Roarr – this suggestion applies to any kind of logging. If you want to include an instance of Error in the context, you must serialize the error. The least-error prone way to do this is to use an existing library, e.g. serialize-error. Without using serialisation, your errors will be logged without the error name and stack trace. If you are using Elasticsearch, you will want to create an index template. The following serves as the ground work for the index template. It includes the main Roarr log message properties (context, message, time) and the context properties suggested in the conventions. and configure the individual programs to use RoarrLogger. In case of Kubernetes, this means adding a log.config.scalyr.com/attributes.parser: RoarrLogger annotation to the associated deployment, pod or container. If your package is using Roarr, include instructions to README.md describing how to enable logging, e.g. This package is using [`roarr`](https://www.npmjs.com/package/roarr) logger to log the program's state. Export `ROARR_LOG=true` environment variable to enable log printing to stdout. Use [`roarr-cli`](https://github.com/gajus/roarr-cli) program to pretty-print the logs.